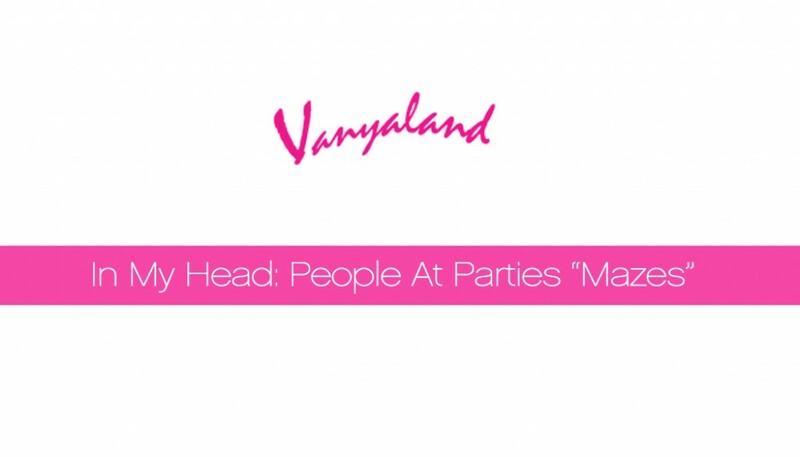 While I was setting up the Vanyaland soundcloud last night, I stumbled upon a new track posted only three days ago from one of my favorite artists, New York/San Francisco dark dance trio PEOPLE AT PARTIES. They’ve been rather quiet lately, and the last post to their FB was back in October — but this new song “Mazes,” was just posted a few days ago. It also appears on their homepage, along with little else. “Mazes,” true to form another passionate 3am electronic slow-burner from P@P, and again is led by the haunting vocals of LK Naps, whose damaged Siouxsie fetish I’ve long appreciated. It’s been a few years since the trio blew me away with their demo EP — tracks like “Happy Birthday” and “Control” are among my all-time faves, and listed the former in my Best of 2011 — and last I heard from them was a track called “Tides” posted around 7 months ago, also to their Soundcloud. In the meantime, there’s also a video for “Mazes.” Very NYC.